Shanna Said: I love the flowers on the side. The color coordination is awesome. Dangina Said: I just adore her fabulous scene! Even after the corrections she had to make, lol. I'm sure we have all had it happen to us at one point or another. Gorgeous make! 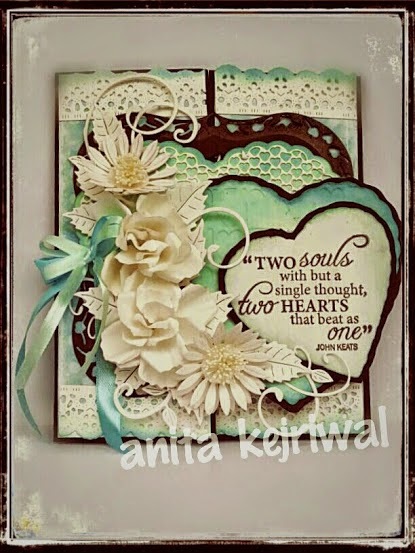 Holly Said: I love this fabulous card design and how her hand made flowers framed her image. So beautiful. Blankina Said: Love these vellum flowers! They are outstanding in all meanings..
Joni Said: Love the cupcakes, sweet design, pretty pink flowers, pretty in pink! Nina Said: Love this gorgeous Christmas card. The colour palette is stunning. I love the homemade poinsettia. Great job. Indah Said: such pretty flower clusters. So elegant! 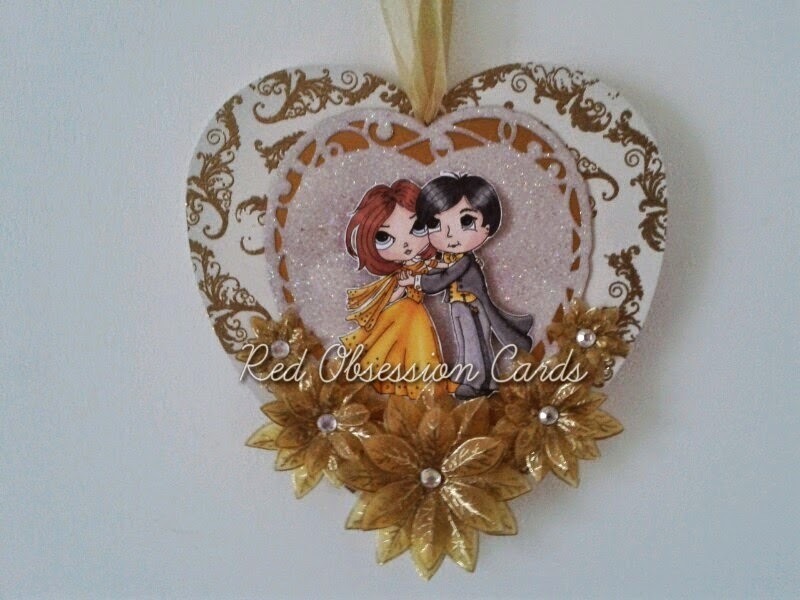 Marcy Said: This is such a beautiful project and her handmade flowers made from vellum are gorgeous! Laura Said: I think Rebecca's tag is stunning! 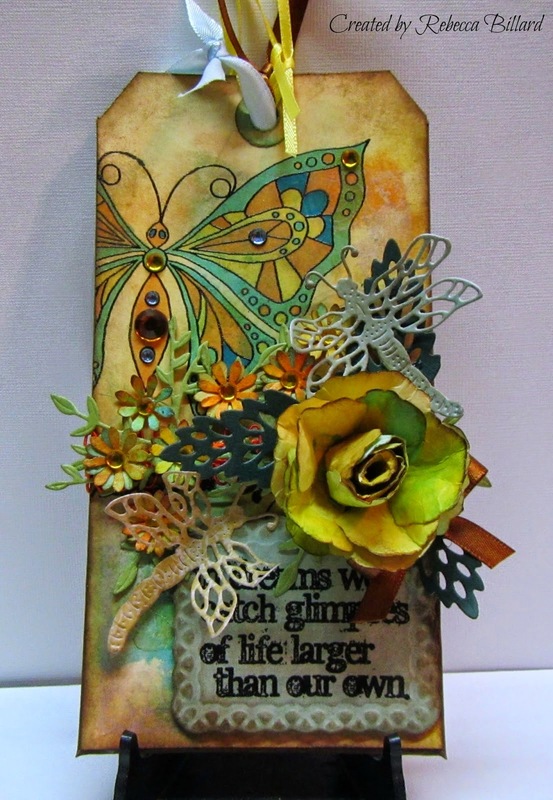 I love the aged look and the stained glass looking butterfly! 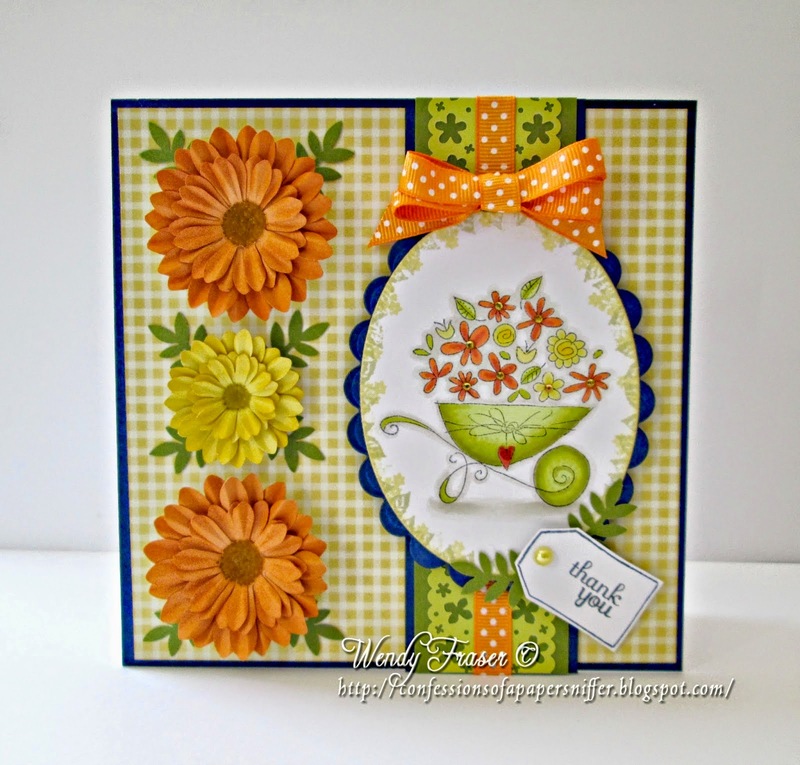 The background is so pretty and her flower is beautiful with the various colors of distress inks! Gorgeous design! 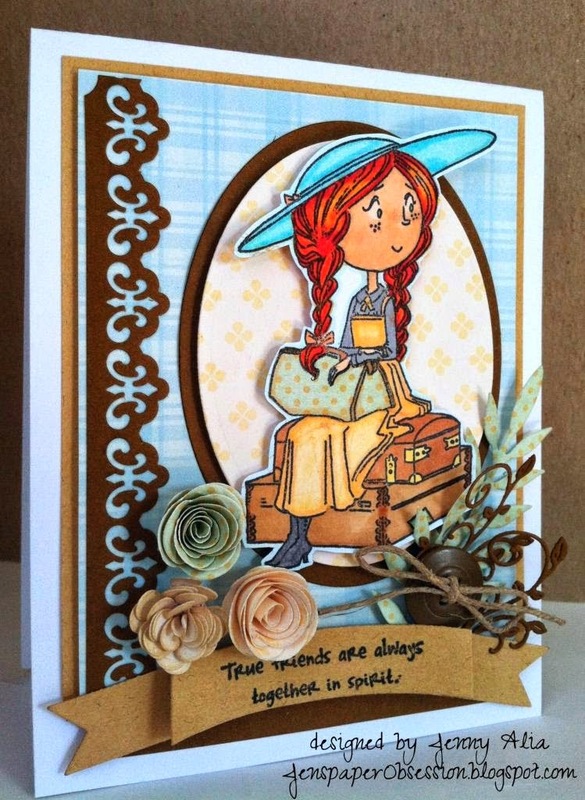 Laura Said: What a beautiful CAS design! 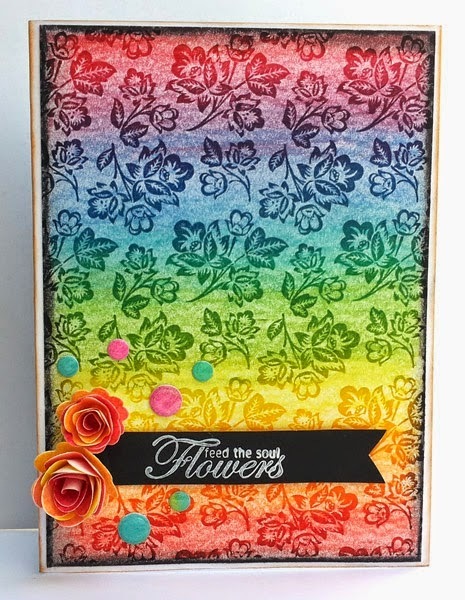 I love the rainbow colors with the floral background and the handmade rolled roses are the perfect color to compliment this stunning card! Love it! Thank you for picking out my card and congratulations to all the other winners too. Awesome Thanks for the pick!